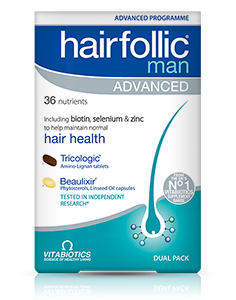 Hairfollic Man is a formulation of bio-active nutrients based on the latest scientific research. 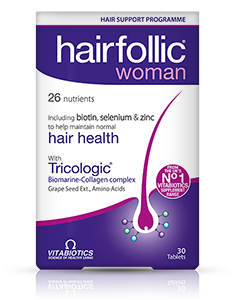 It has been scientifically formulated to provide a comprehensive spectrum of nutrients including biotin, selenium and zinc which contribute to the maintenance of normal hair and copper which contributes to normal hair pigmentation. 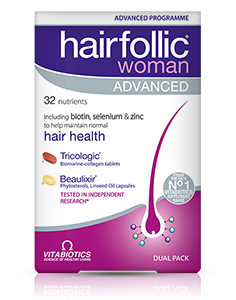 Hairfollic Man may be used by individuals who are concerned about the appearance and general condition of their hair or scalp or by those showing age-related changes wishing to help support the hair’s nutritional needs and support the maintenance of normal hair. Two or three tablets per day are recommended with or immediately after your main meal, with water or a cold drink. Taking the tablets with a large meal maximises the absorption of the nutrients and can reduce nausea, which is sometimes experienced if multivitamins are taken on an empty stomach. Hairfollic Man tablets should not be chewed. 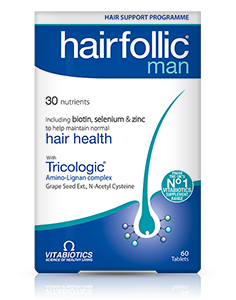 Generally, Hairfollic Man can be taken alongside medications because it contains only moderate levels of vitamins and minerals and it is free of any drugs or hormones. As with other food supplements, seek professional advice before using if you suffer from food allergies, and consult your doctor or pharmacist for advice on taking Hairfollic Man with specific medicines. Hairfollic Man has no known side-effects when taken as directed. Do not exceed the recommended daily intake of tablets. In case of overdose, seek medical advice immediately. Diabetics should consult their doctor before using this product. 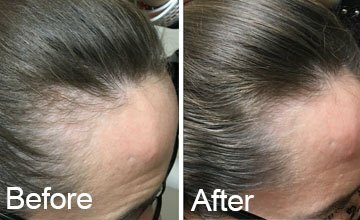 Results vary amongst individuals, but in most cases, we would expect the beneficial effects of the bio-active nutrients in Hairfollic Man tablets to build over several months. There is no maximum length of time over which Hairfollic Man tablets may be used. A regular intake is recommended.